Young Gun Silver Fox, aka Andy Platts and Shawn Lee, are musical sorcerers. On “West End Coast”, they’ve fashioned a fresh and modern sound that summons one of the most vibrant and influential epochs in popular music. The ten songs pay homage to 1970s Los Angeles, a golden age of recording that infused the pop charts and FM airwaves with a blend of soulful voices, immaculate melodies, stellar musicianship, and sophisticated studio technology. Recorded and mixed at Lee’s Trans-Yank Studio in London, “West End Coast” straddles several sensibilities that are united by the duo’s impeccable song writing. Each song is like a post card from their unique musical universe. Album opener “You Can Feel It” sets the tone with a soundscape that conjures the vastness of California’s Pacific Coast Highway and a cool ocean breeze blowing through the chorus. London’s West End sets the scene for “Emilia”, with a little Sunset Strip flash fueling the song’s high octane grooves. “Better” casually sways from one chord progression to another as layers of different instrumentation are stirred into the mix and bring the song to a fever pitch. A strand of Philly-inspired soul threads through the DNA of “Distance Between Us” while “See Me Slumber” serves up a three-minute reverie of cascading melodies. The latter tune’s coda sends the song into a whole other kind of orbit before the infectiously tuneful “In My Pocket” glimmers like a pot of pop music gold. In fact, little sonic treasures abound on “West End Coast”. A vigorous horn arrangement is among several attractions on “So Bad“, which packs a carnival of dazzling ideas into four minutes. Elsewhere, the central question in “Spiral” — “If your heart could only speak, what would it say now?” — is accompanied by slinky and sensual cadences. “Saturday” operates in two gears, one that snaps and crackles and another that curves and coasts, powering the song to its swift conclusion. Like waves crashing beneath a midnight sky, orchestral elements swell and recede amidst the more saturnine backdrop of “Long Way Back”. As the last note fades, the curtain falls on Young Gun Silver Fox‘s series of ten vividly produced vignettes. 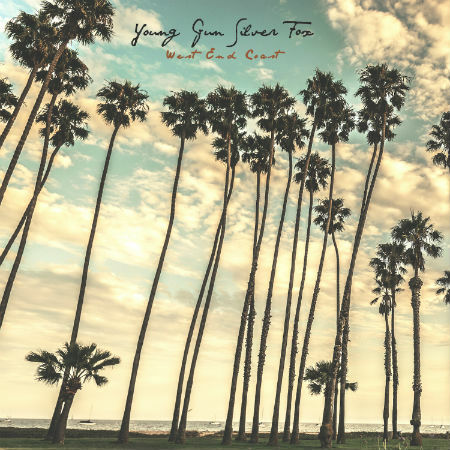 In the world Young Gun Silver Fox have created on “West End Coast”, every song leads to another sphere. No compass needed for this journey, just drop the stylus and get lost in the music.